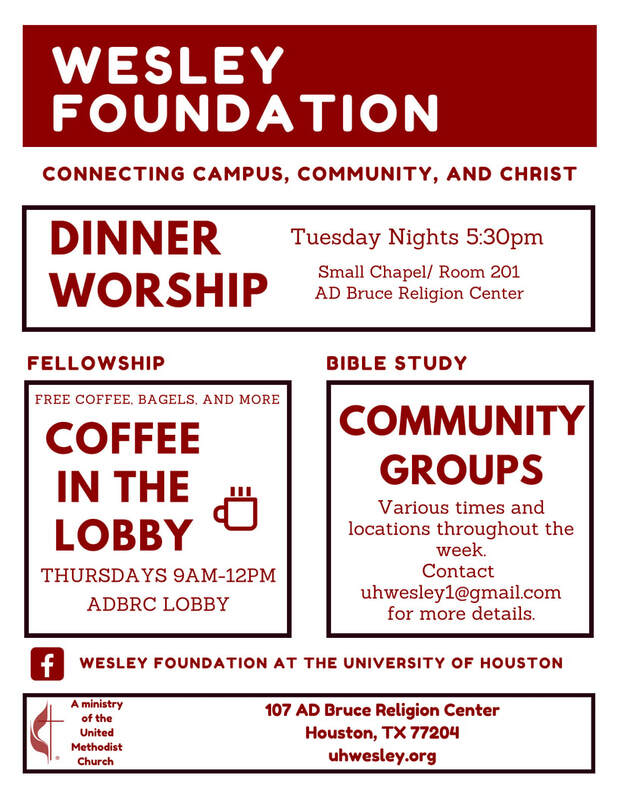 The Wesley Foundation is a campus ministry for students at The University of Houston. We meet weekly for worship, bible study, small groups, and prayer. Started through The United Methodist Church as a place for spiritual and emotional support for students of all ethnicity and religious backgrounds.